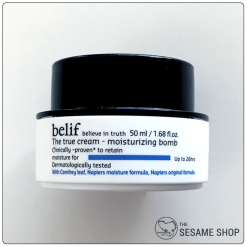 Belif is a botanical brand that uses unique herbal ingredients to create skincare products truthful to the skin. It has inherited Napier’s traditional herbal processing method and technology, to extract exceptionally effective properties from carefully selected and finest herbs. Belif’s products are free of synthetic preservatives, dyes, fragrances, mineral oil and animal origin ingredients.